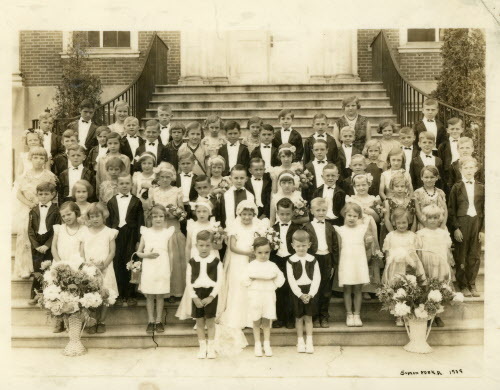 Back in August, I shared some memories of the Dallastown area by Wade Kehr. I have since received many other Dallastown thoughts, and those will be a subject for another day. 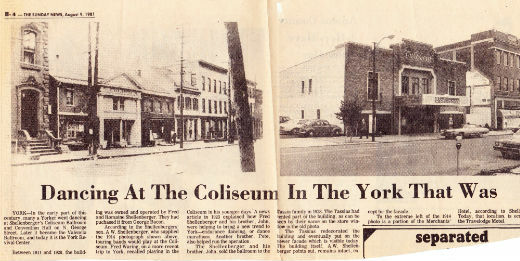 Today, though, I have some neat images and memories to share from Wade regarding downtown York. 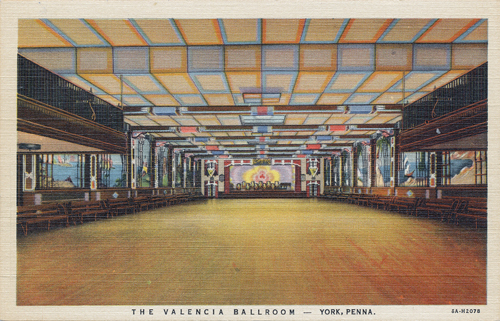 The back of this postcard says: "The Valencia Ballroom, York, Pennsylvania, One of America's Largest and Finest Ballrooms. Valencia's air conditioning system, rare artistic beauty, congenial and genteel social atmosphere, and courteous service are all conducive to making the dance more enjoyable. Valencia invites you to hear the music of America's greatest dance orchestras which are presented every week. 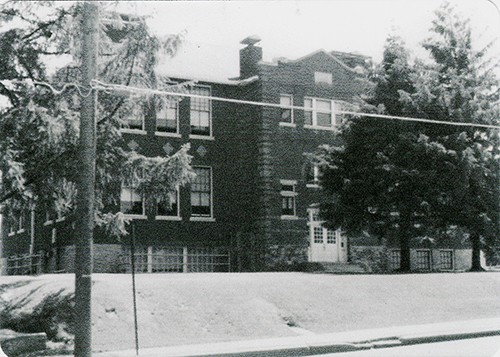 The card has a penciled-on date of 1929 and was part of the "C.T. Art-Colortone" series made by Curt Teich & Co. of Chicago. The flier from the Orpheum was really neat. It’s almost like today’s Playbills, with information on the show in the center, surrounded by advertising. 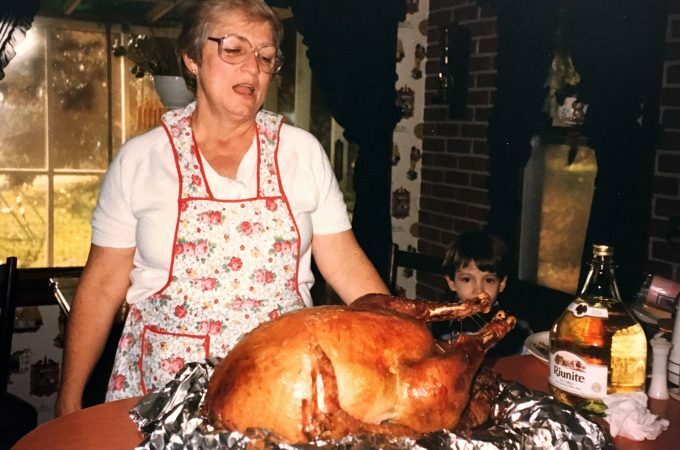 What was on stage? 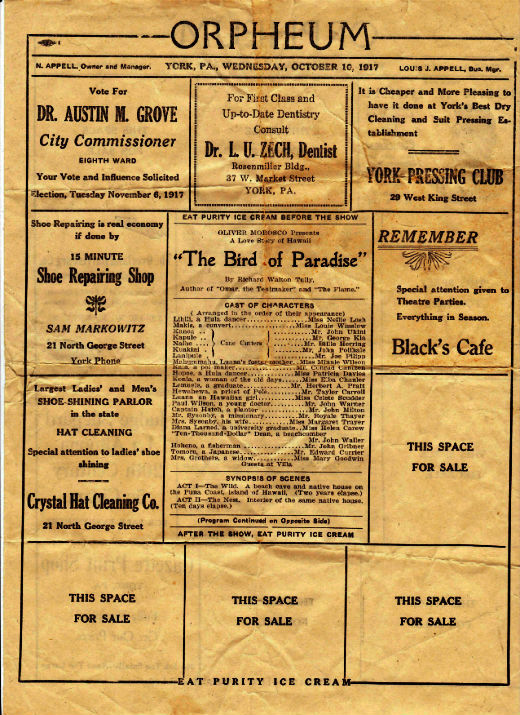 Ads included many for the upcoming election; Sam Markowitz Shoe Repairing Shop; Crystal Hat Cleaning Co.; Black’s Cafe; York Pressing Club (a dry-cleaner); Dr. L.U. 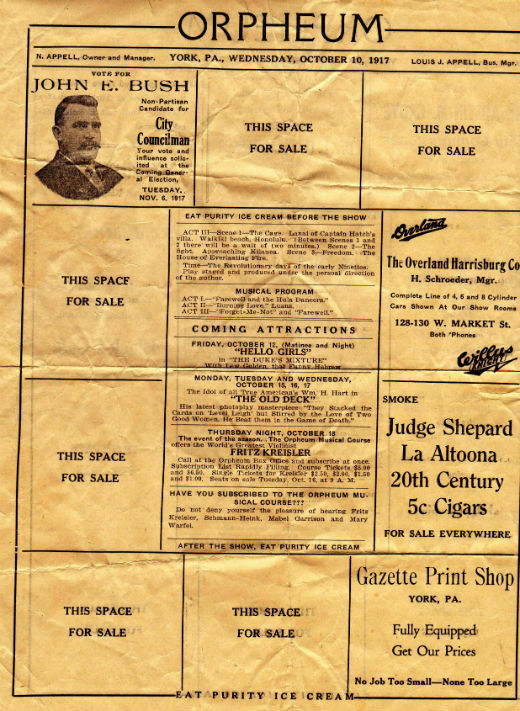 Zech, dentist; the Overland Harrisburg Co. car dealer; Judge Shepard La Altoona 20th Century 5c Cigars; and the Gazette Print Shop. Perhaps most interestingly, Wade ALSO shared with me a copy of the postcard of the Valencia seen at the top of this post; you might remember that from Bob Steindl’s set of postcards shared last week. How amazing to see two copies of the same one within weeks of each other! Thank you, Wade, for sharing, and for the copies of such neat ephemera. 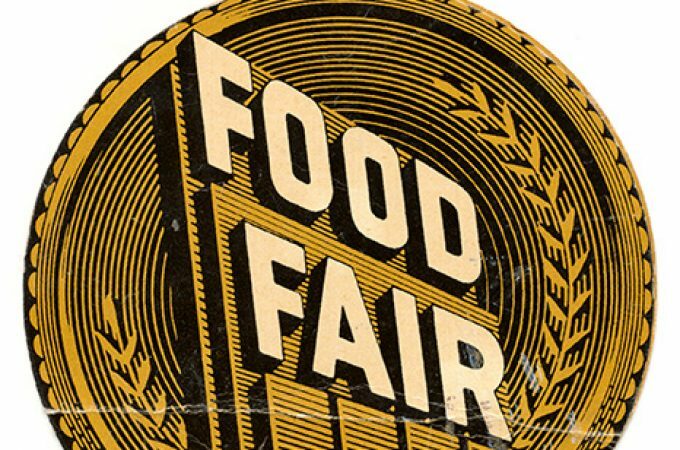 I am glad to get to share it!